^ Howard, Don A. (December 2005), "Albert Einstein as a Philosopher of Science" (PDF), Physics Today, American Institute of Physics, 58 (12): 34–40, Bibcode:2005PhT....58l..34H, doi:10.1063/1.2169442, retrieved 8 March 2015 – via University of Notre Dame, Notre Dame, IN, author's personal webpage, From Schopenhauer he had learned to regard the independence of spatially separated systems as, virtually, a necessary a priori assumption ... Einstein regarded his separation principle, descended from Schopenhauer's principium individuationis, as virtually an axiom for any future fundamental physics. 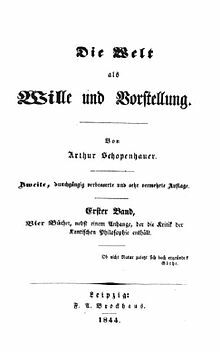 ... Schopenhauer stressed the essential structuring role of space and time in individuating physical systems and their evolving states. This view implies that difference of location suffices to make two systems different in the sense that each has its own real physical state, independent of the state of the other. 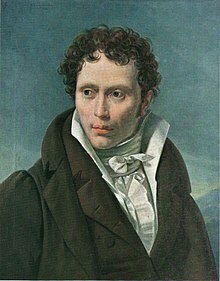 For Schopenhauer, the mutual independence of spatially separated systems was a necessary a priori truth.